A new wave of repression is sweeping China’s universities. Security forces have detained more than a dozen student activists since the start of November. All the victims are connected to a solidarity campaign for factory workers in southern China, where a fight to establish an independent trade union began in June. Their solidarity campaign, which has been supported with protest actions by the Committee for a Workers’ International (CWI) in many countries, has been declared “illegal” as part of the latest crackdown. 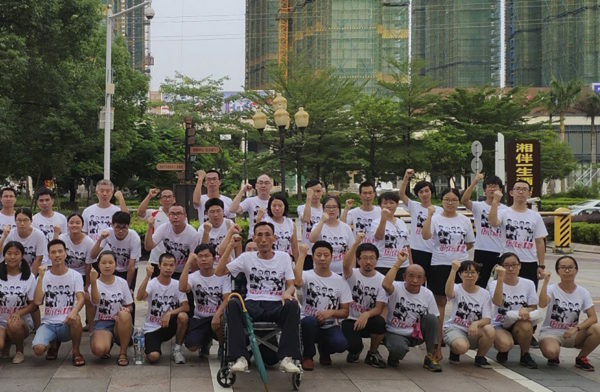 The struggle of workers at Jasic Technology in Shenzhen was brutally suppressed in July, with workers’ leaders dismissed, beaten and arrested. Four leaders of the Jasic worker’s struggle – Yu Juncong, Mi Jiuping, Liu Penghua and Li Zhan – have spent more the 100 days in police detention and will stand trial for “picking quarrels”, punishable by up to five years in prison. Convictions in China’s courts, under the full control of the dictatorship, are generally a foregone conclusion. The Jasic Support Group (JSG) was initiated at the time of the July arrests by student activists described variously as ‘Maoists’ and ‘Marxists’. They mobilised young activists from across China to Shenzhen to support the Jasic workers’ struggle and protest the police repression. This represented an important new stage in the emergence of an independent workers’ movement in China and was warmly welcomed by chinaworker.info and the Chinese supporters of the CWI. On 24 August a raid by police rounded up the main group of JSG activists at the house they were using as a campaign centre. Some were escorted back to their home cities but several are still in detention, their whereabouts unknown. These include two female activists, Shen Mengyu and Yue Xin, graduates of the elite Sun Yat-sen and Peking universities respectively. Yue is also a prominent voice in China’s #MeToo feminist movement, a fact that illustrates how various struggles in China increasingly overlap, and that the very broad ‘Maoist’ label does not accurately describe the young generation of left activists in China. These tend to be internationalist in outlook and draw inspiration from global struggles on women’s rights, democratic rights and other socialist causes in addition to opposing the brutal exploitation of Chinese workers. Rather than quelling their movement, student activists have fought back against the state’s repression, initiating solidarity campaigns, leafleting, campus protests and widely disseminated online appeals to draw attention to the plight of their disappeared comrades. New campaign groups have been launched such as the “Finding Yue Movement” to highlight the disappearance of Yue Xin and other activists. In Chinese conditions, under the most severe political crackdown for a quarter of a century, the defiance of the young activists has set an inspiring example. Disappeared left activist Yue Xin is a pioneer of China’s #Metoo movement and Jasic supporter. The latest crackdown on university campuses, however, marks a serious escalation by Xi Jinping’s regime. It is clearly a coordinated sweep that aims to rein in the growth of left wing ideas among Chinese youth and workers. “These are not the first attacks by the CCP (so-called Communist Party) and Xi’s regime on the fledgling workers’ movement, but they mark a new stage,” says Hu Xufang, a member of the CWI living in the USA, who is involved in coordinating solidarity actions in defence of the arrested students and workers. 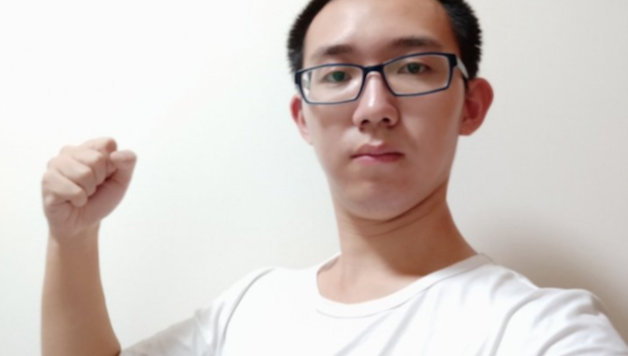 “The authorities have now declared the Jasic Support Group an ‘illegal organisation’ which could mean very serious repression for these youngsters,” he told chinaworker.info. As part of this crackdown the regime has sanctioned the use of openly gangster methods – kidnappings, beatings and police terror – on the campuses of some of China’s most prestigious universities. For example, on 9 November, Jasic activist and recent Peking University graduate Zhang Shengye was attacked on the university’s campus by ten black-clad security agents and bundled into a car. “They hit him hard and quickly got Zhang under control,” an eyewitness told AFP. Students who tried to intervene and film the attack were also beaten and warned to stop filming. The brutality and frenzy of the state’s response is shown by the fact that another student, a passer-by who was randomly beaten up by the police who abducted Zhang, has now also been ‘disappeared’ after exposing and protesting the incident online. Jasic Support Group activist Zhang Shenye was abducted in Beijing on 9 November. Peking University, whose new CCP chief Qiu Shuiping is a former top state security official, later accused Zhang and the Jasic Support Group of “criminal activity” in a text message sent to all students, warning they would face police action unless they cut links with the campaign. “The whole of Peking University is like under the white terror now, (the security guards) will come after you even if you were just at the scene where the student activists were distributing leaflets,” a student told CNN. Developments at Peking University are not an isolated case. Following the abduction of Zhang, other left-wing activists were abducted in Shanghai, Guangzhou, Shenzhen and Wuhan. Universities in several other cities have moved to close or de-register ‘Maoist’ and ‘Marxist’ student societies, which were tolerated so long as they confined themselves to academic studies of works by Mao Zedong or Karl Marx, while subject to regulation and monitoring by the authorities. In early November, students at Nanjing University staged protests against the banning of their ‘Marxist study group’. Several students were beaten and arrested. At another university in Guangxi province, authorities announced they would begin checking students’ and teachers’ phones, computers and external hard drives for “illegal” audio and video content. At Renmin University, another elite university in Beijing, school authorities have blacklisted students who participated in solidarity activities with JSG. This has prompted Cornell University in New York to terminate two exchange programmes with Renmin University in protest. Jasic Support Group has mobilised support for the Jasic workers’ struggle in Shenzhen. Amnesty International is among the organisations calling for the release of the arrested left activists. This is welcome, but experience shows grassroots solidarity campaigns by workers and youth internationally is the most effective means of bringing pressure to bear on repressive regimes. Solidarity campaigns by student unions and also by socialist and left students at their own universities, which could include the issue of official links with Chinese universities, could be very effective. chinaworker.info is urging all our comrades internationally to continue and step up solidarity actions – with protests at Chinese embassies and consulates and especially on university campuses – to stand up for the persecuted workers, students and left activists in China. 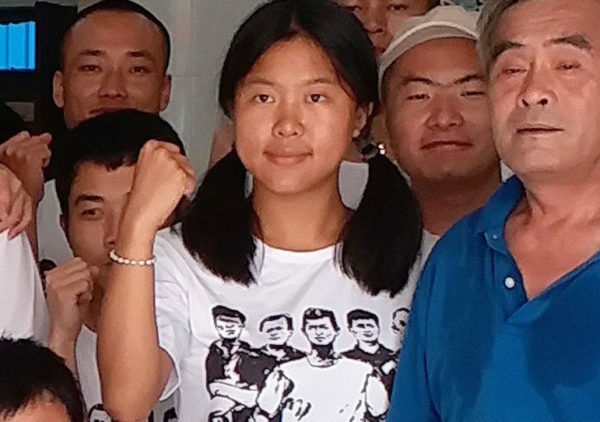 Stop the arrests and repression of Left students in China! 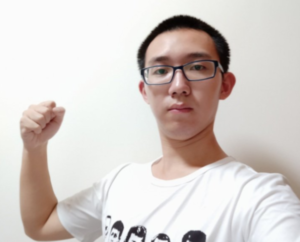 End political repression on China’s campuses! Immediately release all detained workers and members of Jasic Support Group! Workers of the world support the right of Chinese workers to form independent trade unions!